i.e. iTunes, Apple Music, Amazon Music, Boomplay, Kkbox, Spotify, Tidal, Deezer etc. 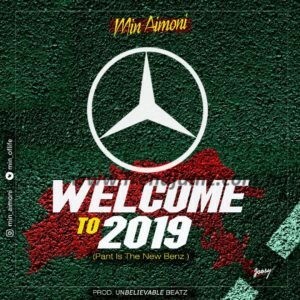 After so many anticipation, Min Aimoni released he’s 4th Season of the yearly review song and this is titled “Welcome To 2019” (Pant is the new Benz) . Produced by Min (Unbelievable Beat) himself. Join Our Whatsapp Group Now For More Updates!!! Copyright TRENDJAMZ Inc © All rights reserved.